Welcome to the members page of BlueTongueSkinks.Net! 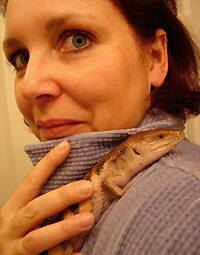 We currently own 10 blue tongued skinks, and reside in Eugene, OR. Blue-tongued skinks are our true passion and our main pastime and hobby. When time permits, we enjoy summertime, boating, movies, and eating out. 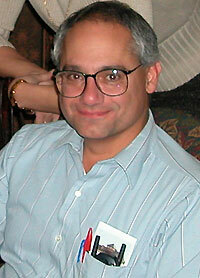 Edward was the first person to contact me from this site, and has been here since its beginning. A true intellect and Tiliqua connoisseur, this hard line and candid, yet brutally honest individual is upfront and forthcoming about anything you ask him. If you're negligent, expect to be told as such. If you're doing something blatantly wrong, expect to be corrected sternly. 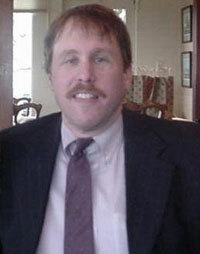 Edward is a lawyer practicing near Mesa, Arizona, and owns multitudinous scincoides species, as well as occipitalis. He hopes to establish a Tiliqua gigas breeding colony in the future. Oh, and no paragraph is complete without his infamous adage: "Nature Knows Best". 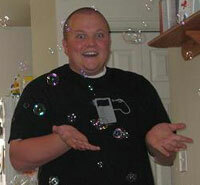 Note: This is not Edward's real picture and it has caused some pretty hilarious confusion. 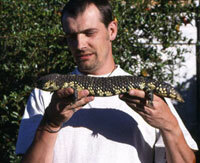 Johan lives in Belgium, and he owns several unique animals including a Blotched pair, and several Shinglebacks. He is an original to this site, the old forum, and is always around. He holds firsthand experience with Albino BTS, Pygmy BTS, several rare mixes, and Pink tongues. 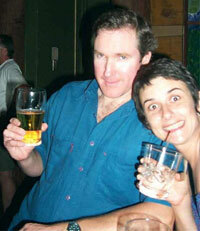 Johan and his wife visit Australia every year. 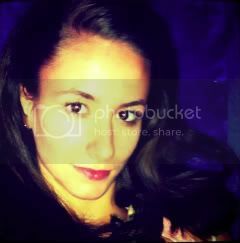 One of the funniest people you'll ever meet, Kylie is a fun loving babe from Sale, Australia. TQ told us the town/city was pronounced Sa-lay, not Say-yal, but evidently, she lied. She's kept dozens of BTS throughout the years, owning as many as 10 Easterns at one time. She currently has one Eastern (Chuckie the girl), a Centralian, Shingleback, and two Blotched. Also an original to this site (and the old forum), TQ (her nickname) works in a daycare helping children, and trying to avoid gossip from annoying teenyboppers. Oh, and her uncle ate the chook she is holding. 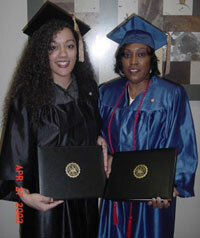 Renee is currently studying seahorses at Oregon State University. 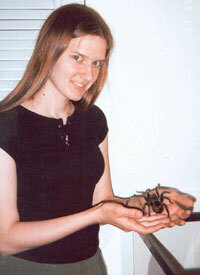 This tarantula queen has lived all over the United States and loves to travel. She visits different swing dancing competions all over the nation and visits every theme park, zoo, and funhouse in between! She owns several BTS which were originally donated to the college. When their specific department was closed, she adopted the whole bunch; a large Merauke named Mama, a beautiful goldenrod colored Irian Jaya (Nona), an IJxIndo (Stewey), and a CB Kei Island (Sprout) which she acquired separately. Coincidentally, Renee is practically my neighbor (living only about 45 minutes away), and we frequently host bluey parties. Jenn is a teacher from Connecticut, and has been teaching for 8 years. She got into reptiles when her and her class decided they wanted a classroom pet. They began with a turtle, but a BTS was soon subsequently donated to the class! His name was Frankie, and the addiction grew from there. She now has two Northerns (Frankie and Spike), and one Kei Island named Kaylee. She plans to get an Eastern soon. Jenn spends her summers outside reading and sewing all while letting her BTS and cats roam the garden. She also makes fabulous customized leg warmers and bluey blankets, so if you get on her good side, and not make fun of her capricious spelling blunders, you may perhaps get lucky! I am English, but lucky enough to live in the shingleback-infested Adelaide Hills, in South Australia, a land where skinks cover the countryside like litter in a London subway! I own many skinks, most of them rescues that can't be released back into the wild and have a transient population through the summer months, that might need anything from rehab after pet shop neglect to complex wound care after dog bites. I live in a small town, less than 180 people and I'm known locally as the 'lizard lady', with the sight of a lizard on my shoulder when I pick up my post a very common one indeed! I work as an agency nurse, which takes me to many lizard-filled regions around South Australia and gives me the chance to pursue one of my other passions, photography. So when I'm not skidding through the dirt to pick up a shingleback, I'm lying in the mud, taking photographs of of them! I'm Jeff. I have lived in Arizona since 1969. I have been married to my wonderful wife since 1990, and we have 5 great kids. 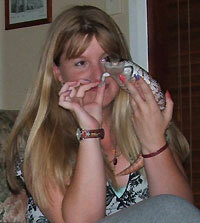 I have loved reptiles as long as I can remember. As a kid, I use to catch lizards and keep them hidden in my room because my mom would have killed me if she knew they were there. My first love was any of the big boids. I never got to keep any of the big ones, but I had ball pythons for many years. When snakes became a marital problem, I made the wise decision to get rid of the snakes and keep the wife. We compromised and I was allowed to get a lizard. My first was a bearded dragon, then later, leopard geckos. They were really nice, but I always longed to have my snakes back. When my original beardie died of old age, I decided to look for something else. 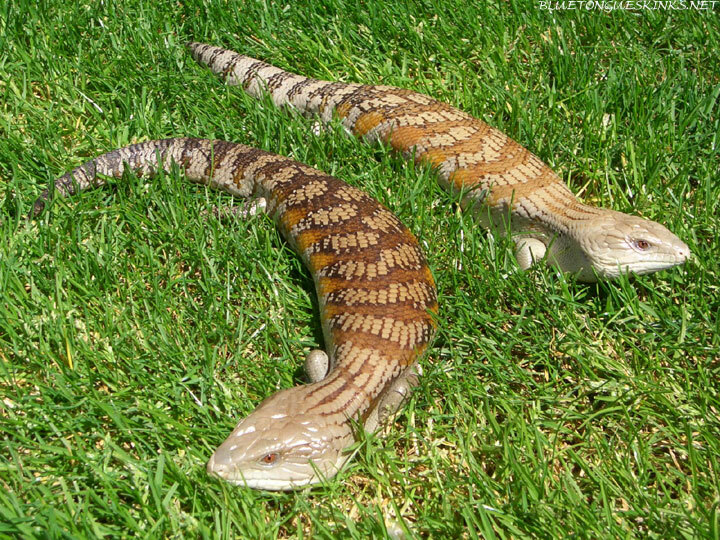 After a lot of research, I discovered blue-tongued skinks. I got one, then four more, then I don't even remember. At this point, I don't acquire skinks just for the sake of having them, I try to choose carefully in order to form top quality breeding groups of the skinks that I think need to be bred more in captivity. So far I have bred northerns, easterns and shinglebacks. I hope to add more species in the future. For the first time I don't feel like something is missing because I don't have snakes! (to be honest, I do still have a pair of boas, to my wife's chagrin). Blue-tongued skinks are truly the greatest reptile on the planet. I intend to work with these amazing animals for the rest of my life, and hopefully I will be able to contribute to the effort to bring the more of the rare species to North America. I know I'm a geek, but I love these guys! It's great to have a forum where I can talk to other people who feel the same way! Scott, lives in Northern Victoria, Australia and has lived with and amoungst blueys all his life. Growing up next to a remnant bushland reserve in outer Eastern Melbourne summer holidays were spent collecting blueys in South Eastern Victoria prior to the becoming protected - cos that is just what kids did. An odd teenager he had his own selective breeding program going for lowland blotched blueys, turning out many grey and pink forms. Scott gave up the blueys for over 10 years after completing University and moving to the country but recently rediscovered the joys of blueys and has fallen in love with Alpine blotchies and has recently aquired a swag of them. The breeding program will begin in shortly! Andrew is a highly recommended breeder - have a peek at his website if you're in the market for a baby! Another highly recommended breeder who is extremely generous with his time and knowledge. 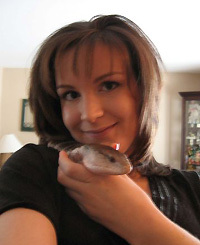 Melanie is a young adult working hard to fill Canada with blue tongue skinks. She currently owns ~20 skinks and breeds several species. As her collection continues to grow Melanie hopes to own as many species of skink as possible. In the rare times Melanie isn't playing with animals she's reading, playing games, or flying planes. Katrina currently owns eight blueys and lives in Alberta, Canada. 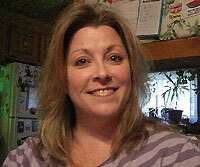 She works in Environmental Science and enjoys hiking, snowboarding, hockey, running, reading and red wine. I'm 22yrs old and live in the suburbs of Buffalo, NY. I work at the Petsmart Petshotel, I hate Petsmart but I adore the dogs. I am a student at Buffalo State College, majoring in Art Education, minoring in photography, and someday I hope to work with at-risk students. Currently I only have 2 reptiles, and only one bluey but I'm working on fixing that! (Just a few on my list: Merauke, Indo, Ball Python, Chinese Water Dragon) Apollo is my beautiful corn snake, and is solely responsible for my new-found love of reptiles. Boomer is my feisty, yet handsome, IJ bluey and is the reason for my bluey-addiction. Riding and showing my horses isn't just a hobby, it's my life. My other hobbies are rooting for the Buffalo Sabres, photography, drawing/painting anything outdoors including kayaking, hiking, camping and the beach, I love shooting trap and archery, and every once in awhile I enjoy hitting the club scene. My name is Brad Selig. I live in Huntington, IN. 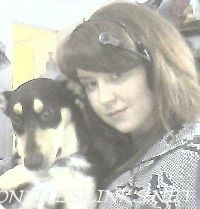 I am 22 yrs old and have always had a passion for animals. I currently have Northerns, Indonesians, Kei Islands, and Tanimbar Island blue tongue skinks, with the Kei Island being my favorite. I also have a small breeding colony of crested geckos, a bredli's carpet python, a cat named Sigmund and my dog, Lexi, a Bouvier des Flandres. 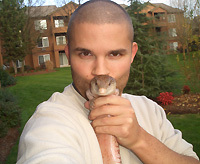 I have owned many other reptile species in the past as well as several exotic mammals, such as sugar gliders and a chipmunk. My plans are to really increase my Kei Island collection and successfully breed them. In my free time I enjoy fishing and hunting as well as going to reptile expos. im caleb ott, and im am an aussie and proud to be! i may only be 14, but i know more than most people my age and even older. 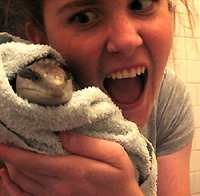 i am a cold blooded animal nut with 6 aquariums and 9 herptiles (including my two lovely eastern blue tongue skinks). i live in southern queensland and love it because the weather is mostly great. i am planning on breeding hypermelanistic blue tongues in the near future and expanding my collection. my life revolves around my fish and i have one of australia's best sport fish in an aquarium - a barramundi. i am really into screamo and deathcore and many people call me emo, but i am one of the happiest people you will meet. i have black hair on my face and green eyes. i play the trombone in a few bands and im learding alto sax next year. My name is Nae and I am 17 from Western Aus. I like long walks on the beach, candle li - No wait. Scott said this wasnt a dating site...Darn! Anyway I am currently doing my final year of schooling at home over the internet (hence the reason I am wearing a headset in my photo . Btw, the dog is scared or anything, just fazed from being woken up while I was trying to get a photo of her~) While I have no idea of what I wish to do when I leave school, I am vaguely thinking along the lines of seamstress/ costumer for theaters and such. Or a fire dancer. That would be good too. I have grown up surrounded by shinglebacks and the odd western. I also kept my own, Mazi who was a wild caught shingle rescue, for about 7 years before he unfortunately passed whilst in the care of someone else. I have recently decided to get back into keeping blueys and have decided on a centralian - Similar to a shingle, yet different at the same time. Plus oh so cute and pudgy! I have a ridiculous amount of interest that includes singing, costuming, sewing, making things in general, ferrets, dancing, I have very recently taken up playing the keyboard, listening to music, not doing my schoolwork, design graphics/ digital paintings and photography, just to name a few~! My name is Luke and I have one Indonesian blue tongue skink. I am a pilot in training and I play football for my high school. After high school I am going into the airforce to be a pilot. I have kept reptiles for more than 10 years. My parents are from Finland, but I was born and raised in Sweden. My life’s twisting roads brought me to Utah, U.S.A. where I still live today with my husband of 20+ years and our three children. A couple of years ago, we lost both our family dogs in a tragically short period of time and decided to not get any more pets because of frequent travel and the hardship it is, especially for dogs, to be left with sitters. We lasted without pets for 9 months. Enter my son’s 14th birthday and my fond memories of a childhood boa constrictor; we now own a Red-tailed boa, a couple of Cresties, and a house full of Meraukes. I have previously done some work with our dogs on helping children/people with dog phobias; I now love taking my reptiles to schools, and anywhere else, where I can teach people of all ages about reptiles--how to handle them, care for them, and how to get over any fears or misconceptions they may have. Laurie is a plant scientist who lives in Melbourne Australia. She is currently researching an endangered species of casuarina and is doing her research at the University of Melbourne. Although she lives in the eastern suburbs of Melbourne, she has spent many years travelling and staying in north west Victoria (her local state in Australia) where there where many shinglebacks, and easterns. She has spent time on the south coast as a child and used to play with wild easterns. Occassionally easterns will be seen in her back garden, and once she found a wild shingleback there; though the tiny little garden skinks - The Pale-flecked Garden Sunskink or Common Garden Skink (Lampropholis guichenoti) - are very common. She has also seen geckos on the wall of her house. She currently has 2 shinglebacks, and now 6 southern blotched blue tongues. She bought her first bluey 3 years ago after seeing a wild eastern in her back garden. She likes playing tennis; has an interest in photography and used to have horses and was a keen dressage rider. She is also an artist, as well as a scientist. Hi! I'm Alyy, and I hail from Seattle WA, USA. I've got 4 blueys right now, as well as a foster (butterbean). We have a Zergling (Indo), a Baneling (I.J. ), a Broodlord (Northern), and a Creep (New form Merauke). We plan on finding mates for each one once they are sexed. Our favorite websites are this one, and Iherp.com, which we utilize to track our blueys and the rest of our little zoo. We plan on breeding the Kenyans here in the next couple years. Goal is for 2012-2013. Cay is a PhD student in chemistry at the University of Delaware. 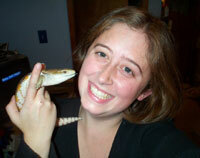 She lives with her best friend and husband and her collection of reptiles including Coomassie, her beloved Northern. She also cares for a breeding colony of leopard and crested geckos, a fire skink, a few snakes, a leopard tortoise, golden geckos, and one very angry tokay. When she isn’t working or playing with reptiles, she can be found at the shooting range, re-enacting, cheering for the Pittsburgh Steelers and Penguins, or baking. She is also an avid punk rocker and belly dancer. I'm 21 years old, live in the Netherlands and my hobbys are: playing guitar, taking photographs of my pets, draw dragon's and other fantasy species, take care of all my pets and in the summer months going to music festivals like Graspop Metal Meeting. I have a lot of pets at home. I have 4 blueys, 3 bearded dragons, 3 tortoises, 2 rabbits (one reeaaly bigone! ), 2 guinea pigs, a dog, a few rats and a few mice. At school I'm studying for Para-veterinarian (I don't know if that's the same in any country, but here it means that you're helping the veterinarian)..
Gary is a graduated veterinary technician living in sunny Queensland Australia. 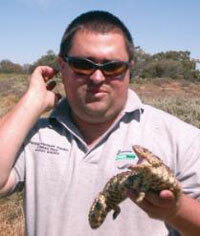 He is a reptile enthusiast with a particular interest in blue tongue skinks. 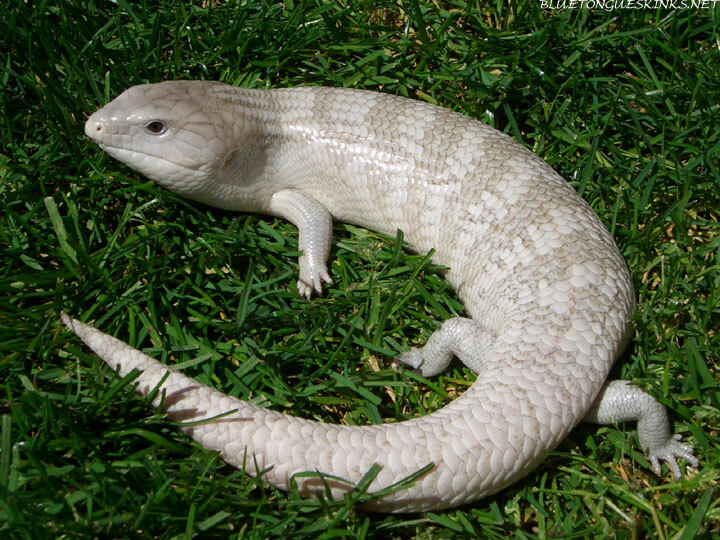 He keeps and breeds quite a few different species and maintains a large population of his favourite blue tongue the Eastern blue tongue skink. He has presented at veterinary conferences on, reptile husbandry health and care, and has recently been asked to write an article for a UK Veterinary Journal, which he is very excited about. His first pet reptile was a high yellow eastern and he has never looked back. Kelly owns two BTS, King Cole & Princess Phoebe. No, they are not related, nor are they true royalty. Well, Phoebe thinks she is, but......no...NO PHOEBE....DON'T DO IT! DON'T THROW ME OUT....I HAVE NOWHERE TO GO!!! In case you haven't noticed, Phoebe gets what she wants, when she wants it. No exceptions. She's a princess, and it's as simple as that. Tigergenesis spends her time volunteering weekends at the Indianapolis Zoo, all the while deeply hating her workweek job. She hopes to someday work full time with animals, and eventually would like to own a green anaconda (as seen in the hollywood movie with J-Lo & Ice Cube). She has a brilliant mind for reptiles, and is extremely level-headed and particularly cognizant to precise and optimal care and housing. She owns multiple snakes as well and has experience with Prehensile-tailed skinks, Crested Geckos, and two Northern BTS that are each 22 years old! My name is Tam, Mom to a Northern named Tattoo, I am a dyed-in-the-wool Vermonter working in the medical administration field. I have a wonderful husband and a great life. A High Voltage Authorised Person, I work 5-7 days a week, I am a chocoholic, I love all things lizardy/reptiley/herpy, I've had in the past a Green Iguana, a vieled (Yemen) chameleon and at the moment I have, 1 IJ nearly 2 yrs old called Blue and a Beardie of 7yrs old called Spike,we also own a Red Point Siamese cat called Sultan and two tropical fishtanks. 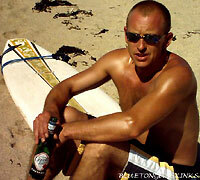 The photo depicts my three favourite pass times in one, sun bathing, drinking lager and surfing. Craig lives in the county of Essex just outside of London, England. He currently owns 1 IJ called Lynyrd (named so after my love of the band Lynyrd Skynyrd). Aquired Lynyrd when he was a year old as a rescue pet from a colleague of my wife. My hobbies include Astronomy, Cycling, playing guitar, listening to music (old skool rock to Heavy Metal), going to gigs and poping down the pub for a few cold ones with mates! John breeds simply beautiful Northerns, and if you're from Canada, John is your man. Some of his specimens can be seen on the Northern page, and he has also successfully bred his Northerns this year! When time permits, John enjoys skiing, canoeing, and everything outdoors. I'm Sarah; 16 years old, with one Eastern Bluey Chuckie. Also known as "Chuck/Chuckface/Prince Charles/Cranky pants" and "PC." I love Biology, all things reptillian and strategy games. I want to be a zookeeper later on. I also hate sushi in a cone... with a passion. Steve is our resident expert on sprays and pesticides. 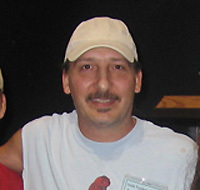 He's had his Usersafe business (http://www.usersafe.com) running for 1 1/2 years, and is also a Network Administrator and consultant. 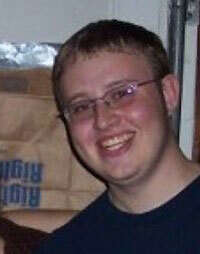 He has a BSE from Duke University in biomedical engineering, and all of his siblings are veterinarians and doctors. 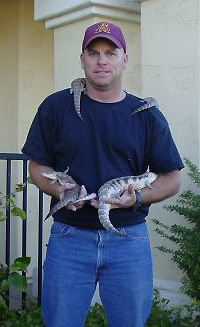 He owns two blue tongued skinks;one awesome Northern named Belle, and one fabulous Irian Jaya named Jerry! Jerry has a big spot right in the middle of his back, and can be seen on the IJ page. When Steve isn't incredibly busy with his Networking career and pesticide business, he drives to the sand with the skinks in hand, kicks back with a straw hat, and lets the good times roll. Greg is a city safe designer from New Jersey. He was among the first to own a breeding group of Kei Island BTS, and was THE first to successfully breed captive babies himself. Aside from that, Greg also owns an incredible CB pair of Centralians, and a trio of Blotched. In his spare time, he spends time with his wife and daughter, who I might add, is an up-and-coming blue tongued skink enthusiast! 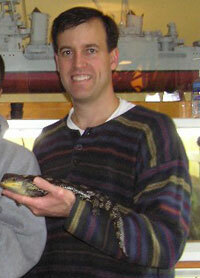 Mike has been involved with reptiles for over 20 years and fell in love with BTS in 2008. Mike has a passion for the Northerns but likes them all. Currently has 7 BTS with plans to breed in the spring of 2010. Mike pays for his hobby by working as a National Financial Risk Manager for the largest plumbing and heating company in the world. Other hobbies include, RC racing, Archery, Darts and his newly acquired American Bulldog Jade. I am a 38 yr old Veterinary Technician, formerly working in a 24-hour emergency clinic. Although I now work in an office as an Administrative Assistant, I plan to one day re-enter the veterinary field. I enjoy nature photography, reading and a good movie. I love all animals large and small. And I am instilling a respect for all God's creatures in my three sons (twin boys Matthew and Jacob and youngest boy Noah). I am a first- time BTS owner. I acquired my Northern, Sammy, from Zach in June 2007. An Interior Designer by trade, 26 year old Drew enjoys trips, birdwarching, reptiles, art, photography, hiking, and generally being outdoors. He volounteers at the local zoo, helping with the rescue center, lectures, conservation and all around being a great guy! I'm originally from Connecticut, but have lived across the U.S. to end up in WA State. I'm an Animator/Artist, and I love herps, lizards especially. I've done Wildlife rehab and worked in a vet office in the past. My significant other Tony is a well known British animator, and the love of my life. We have 5 lizards in our family. Hobbies/Interests: I love Snowboarding/snowshoeing/cross country skiing hiking and Nintendo as well as drawing, painting, sculpting, photography and digital arts. Dislikes: Developers that trash the environment and build ugly Clones-ville houing subdivisions, gun-toting red-necks that shoot everything for sport, Animal Exploitation, and Yo-Yo Homies that blast their stupid bass rap music at 3 AM while I'm trying to get sleep. Currently working at a Biotech doing everything from Shipping/Receiving to website design. My second job is creating assets for online games. Keeps me psycho-busy! I've been keeping herps for about 20 years now and there's never been a time I wasn't interested in them. I recently got my Master's Degree in herpetology while conducting research on salamanders in caves. This lead to a brand new addiction and I'm quite the caving enthusiast these days. I love field herping, so it just seems natural to go underground where some of the more interesting and secretive species are. At the moment I have 2 pink tongued skinks, but my days of working with blue tongues are behind me (for now). 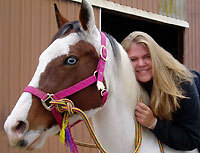 Brena (shadowfax) is a cowgirl living in North Carolina. She is an official, state-sanctioned, full-bore wildlife biologist, and her work focuses on endangered species and conservation, as well as habitat restoration. She loves every kind of critter (except for fire ants, mosquitoes, and spiders) and is a bona fide "bunny hugger" as they call them in the south (NO, not in a dirty way!) When not saving the environment, Brena spends time hiking, climbing, reading, taking pictures, drawing pictures, and spending time with her dogs, cats, and skinks. 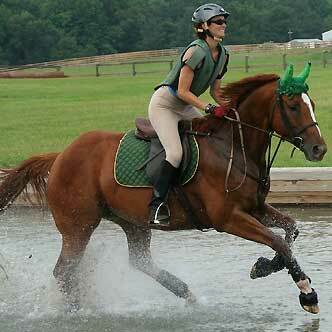 When not entertaining dear Maya, she's training Solo for 3-day eventing (horsey triatholon). She was known for the late "Fang," a dwarf hamster that still haunts her dreams. Steve Sass owns a ranch of blue tongues. 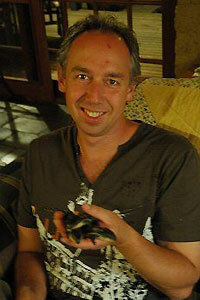 He is an Ecologist from Australia, and can often be found in the field studying and hunting for all species of BTS. I'm a senior at Oregon State University studying animal behavior. When I'm not hanging with my blueys I can be found playing with my dogs or riding my horse with the OSU drill team. I would someday like to work with polar bears. Matt is one of the neatest guys you'll ever meet. He's a forest ranger from Utah, and spends his time motorcycling, reading SBEmails, and issuing citations to obnoxious troglodytes. You can tell by the picture that he's one tough mountain man, and doesn't put up with any crap. He's not afraid of having a good time, nor is he afraid of getting hurt! He lives life to the fullest hiking, biking, white water rafting, hunting, you name it; all in one of the most mountainous, rugged and beautiful places on earth (that is unless he's off-duty in which case he spends 24/7 here). 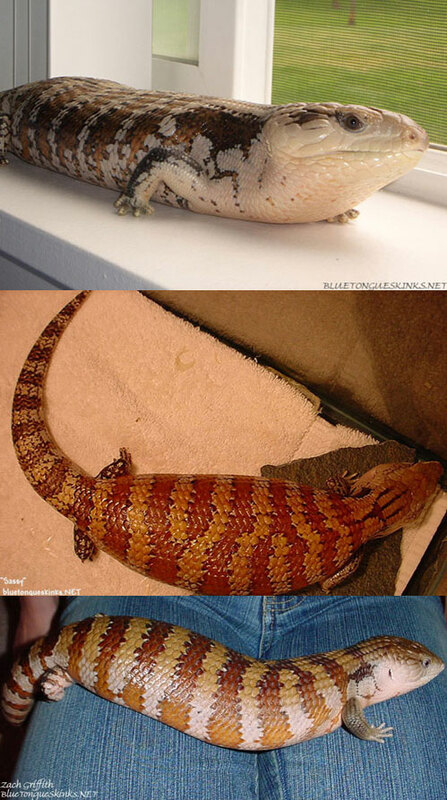 He owns three blue tongued skinks;Two Irian Jaya (Godzilla & Trogdoooor! ), and one great looking Eastern named Bella. 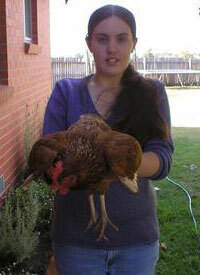 Brittany is a 23 year old Central Queensland SAHM, who is finally studying her way towards Herpetology! 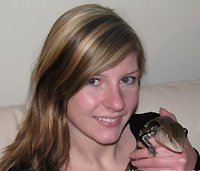 Brittany Worked at the Canberra Reptile Centre for 2.5 years, educating the public on the country's native reptiles and amphibians. 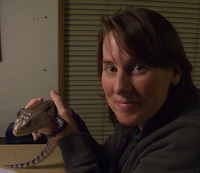 She has owned various species of Australian Blue Tongue Skinks since 2001, and currently owns an Eastern, Tili, with plans on expanding her collection in the near future. Brittany recently bred the next generation reptile enthusiast, and is slowly converting her husband. Would you like your bio and picture up here? To be added, please PM or email Katrina!